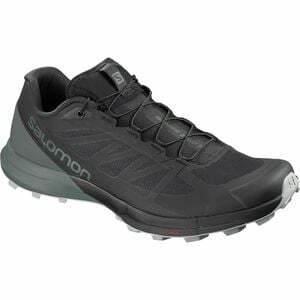 The trails you prefer to run are fast, smooth, and relatively painless, something that the Salomon Men's Sense Pro 3 Trail Running Shoe was also born to appreciate. With a new lightwe weight, a snug and adaptive fit, and a quick-drying mesh upper, the Sense Pro 3 is well equipped to handle packed trails and frontcountry loops. It features a Sensifit construction for a killer fit that avoids blisters, hotspots, and discomfort. The Premium Wet Traction Contragrip sole sinks its teeth into everything from packed-out trails to slick rocks to powdery dust, while the Energycell+ midsole offers supreme cushioning and excellent rebound to keep your feet stoked and moving fast.